Once in Scotts Valley, visit the city offices and pick up a copy of the Heritage Tree Tour map so you can take a self-guided tour a beautiful assortment of local trees that are protected for their age, size and historic value. 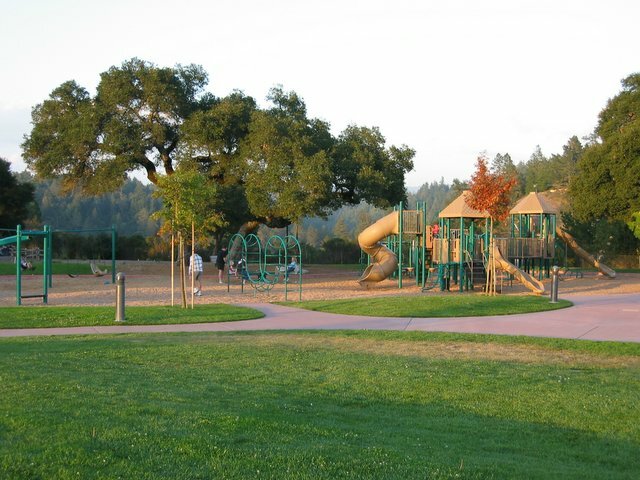 Another great destination is Skypark, where dogs are welcome off the leash in designated areas and you can enjoy the skate park, tennis courts, a playground and shaded picnic areas. You can also take a short drive to the well-known 'Mystery Spot', where you feel like you can defy the laws of gravity. The incomparable Pasatiempo Golf Club is located in the Southern portion of Scotts Valley and features an Alister MacKenzie designed championship golf course. Even though Alister MacKenzie designed Augusta National and Cypress Point, Pasatiempo was his favorite layout and where he made his American home. Pasatiempo has ranked as high as #13 in Golf Magazine's top 100 courses you can play.